Mia Ward has just been fired from her job and dumped by her boyfriend when she gets a surprise announcement. Her Great-Aunt Matilda, whom she’d never heard of before, had recently died at the age of ninety-nine and in her will, she had left her home, Sunbeam Cottage, in a place called Little Pondale, plus £10,000 to Mia. There was one catch though, she has to live in the cottage for a whole year before it could legally become hers. Mia headed to the sleepy, small village with her best friend Ella and her twin brother Garrick who travelled with her to help her move her stuff and settle in. They were also due to stop with her for a few days. The cottage was a lot bigger than Mia imagined and gorgeous too. It even has a hidden attic room. The place was so nice that both Ella and Garrick decide to stay with Mia for a while longer. This is the first part in a series of books following Mia and her friends and their new lives in the small village of Little Pondale. The place is tiny with a pond in the middle and overlooking the sea. The first book follows the trio as they move into the cottage and explore the village and the locals, plus Mia tries to discover more about the aunt she never knew. The story is a quick read at only 163 pages and was filled with wonderful characters and gorgeous scenery. 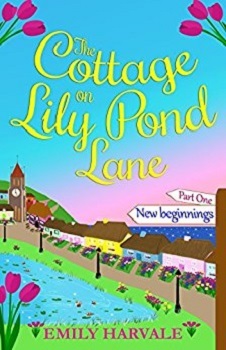 I’m now looking forward to seeing where book two ‘The Cottage on Lily Pond Lane-Part Two: Summer Secrets‘, takes the three of them and learning more about the elusive Great-Aunt Matilda. A quick read and a gorgeous cover, this sounds like a great series. The cover is gorgeous. It is looking like a great series up to now. I think this is the third short instalment series I’ve been reading this year. Think I might have to stay for a year to catch up on my reading. My TBR list just keeps on increasing. This sounds like it would make an awesome summer read. This sounds like a fun and quick read. The cover is adorable. Thanks for sharing! It is both. Agree about the cover. 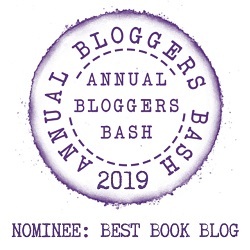 It is, can’t wait to get started on book two. This looks cute! I’ve seen several authors coming out with summer serials this year. Seems to be a trend going at the moment with short series. Yes, would be great for the beach. I love reading books about surprise inheritances. This sounds like a great one! The book is great and short too. A win, win. It is. Would be great to take on holiday, though you might need the others in the series too as it is only short. I enjoy books set in small towns! Great review! Thank you. I love small town books too.